Follow this link to sign up for the freshest Dope news: http://www.africandope.co.za/lists/?p=subscribe&amp;id=1 Formed and run by Krushed &amp; Sorted, African Dope is one of South Africa's premier independent labels. 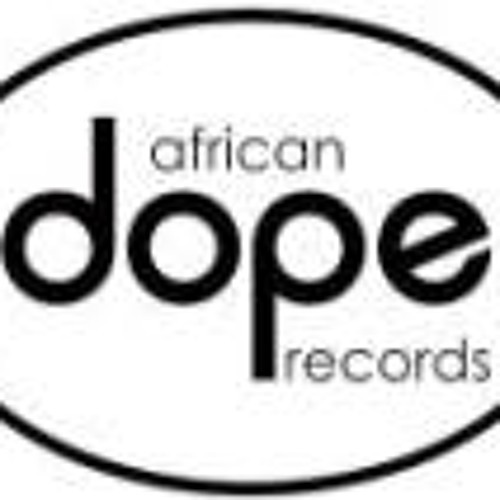 www.shop.africandope.co.za Their break came after they created the music for (ironically enough) a tobacco company's cinema advertisement which brought in the cash to set up the label and release their first CD, Acid (tm) Made Me Do It, in April 2000 to much acclaim, while their "African Dope Vol 1" compilation won the 2002 "Best Dance Album" SAMA award. Never fixed on one style or genre, the label is dedicated to showcasing the finest local leftfield dub, hip-hop, dancehall, breakbeat, and drum 'n bass emerging from the streets of South Africa. Distribution in South Africa is by Soul Candi Distribution (as of July 2007, previously by Sony), in Europe by Lowlands distribution (Benelux), Al!ve AG (Germany), and CD1D.com (France), and they have comprehensive digital distribution via INgrooves (USA), Artspages (Scandinavia / China), Blue Pie Productions (Australia) and Vidzone.tv (UK). The pre-2009 logo was designed by Watkin Tudor Jones after an amicable settlement with lawyers representing the Cape Outspan company whose own logo the previous one was just a little too similar to.